I was expecting something different from Barr, the group famous for distributing Irn Bru. It sadly wasn’t that different, but I’m reluctant to put it in the same clone category as so many others. It definitely has the familiar Energy Drink (c) taste, but it’s more fruity, more refreshing, and less chemical than the clones generally are. Maybe I was in the right mood, but I enjoyed it. And it was only 49p for a 330ml can. 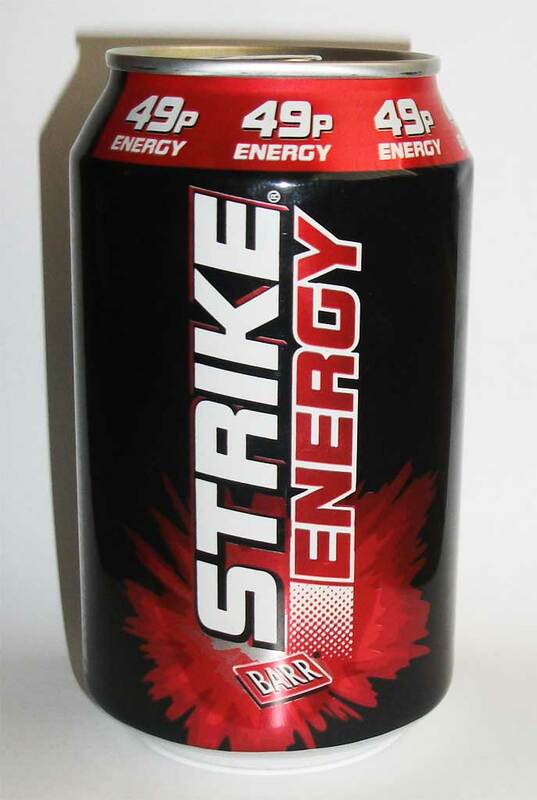 With a regular can size like that, it doesn’t immediately jump out as being an energy drink – the big word ‘Energy’ on the side of the can does help give the fact away though.